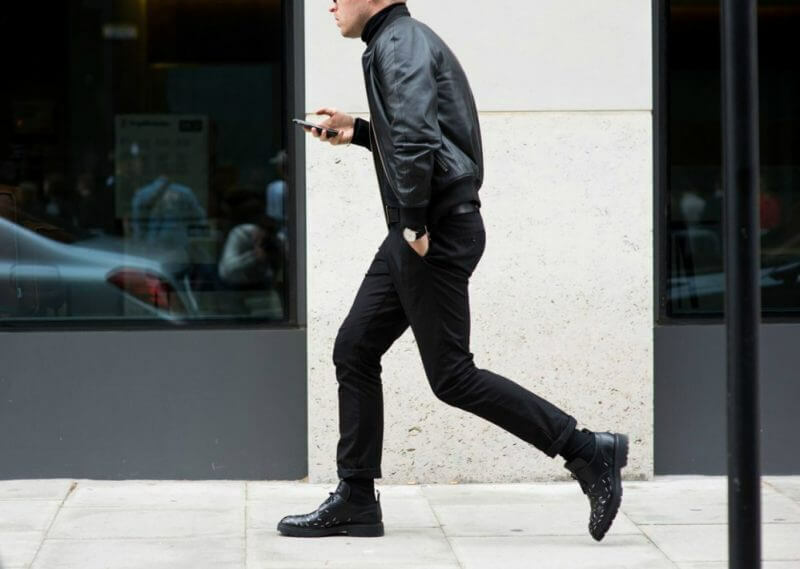 Leather jackets have transitioned from something primarily worn by bikers and rock stars, to an everyday menswear staple and one of the most versatile outerwear items, that every style conscious man should own. Choosing the right leather jacket is the tricky part, the key is to pick a style that sits well with your style and current wardrobe, Although I’m sure we’d all love to, it’s pointless dropping three G on a Saint Laurent Biker jacket that’s not going to compliment any of your outfits. The fit is equally as important, make sure you nail it, a slim well cut jacket is the way to go. Make sure you get this right before deciding on what type of leather you want, colours, zips and buttons. 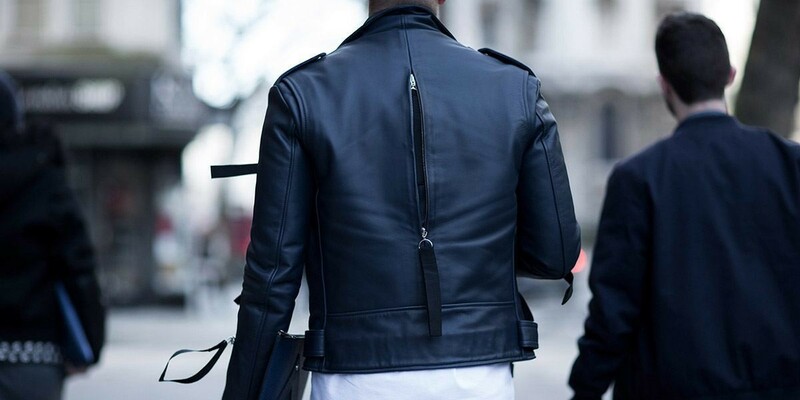 We’ll break it all down in this guide on investing in a men’s leather jacket. Think second skin when choosing the perfect fit, the fit of a leather jacket should should be approached slightly differently to other outerwear items, a much closer fit with less excess fabric is more desirable. Also remember that leather will have some give to it and may stretch out, consider what you would wear under a leather jacket, they often look best teamed up with a simple t-shirt, fine gauge knit or a shirt, as opposed to heavy weight layering. Most styles of leather jacket may finish a little higher than you are probably used to, normally around the belt line, similarly with the sleeves, they should end cleanly at the wrists with no excess overhang, you don’t want roll of leather gathering up the sleeves. Ultimately you want a jacket the cuts close to the body, giving a good clean silhouette whilst still allowing comfort and movement. Ideally you should try on a number of jackets to find the best fit for you, bear in mind that leather can be very difficult to tailor or alter so make sure you find one that fits well off the peg. 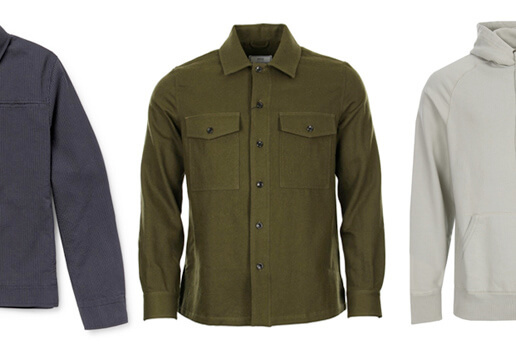 If shopping online, a retailer that offers free shipping and returns would be ideal, check out our latest menswear offers to see if you can take advantage of a deal. A leather jacket is a statement piece and often one of the biggest wardrobe investments, make sure you a pick a style that works well with your look, just because it looks good on Steve McQueen, doesn’t mean it will on you! The popularity of leather jackets now means that pretty much every style of jacket out there has been created as a leather variant. 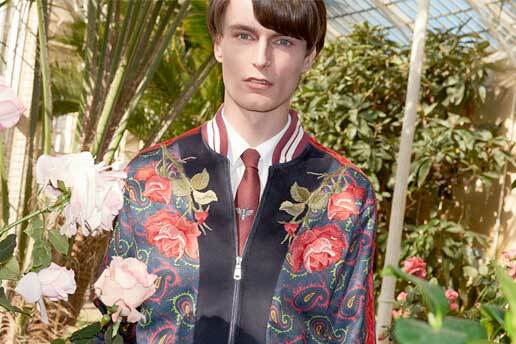 We would encourage you to go for one of the more classic styles, which will prove more versatile and timeless. Made famous by the likes of Marlon Brando, James Dean and a host of rock and roll front men over the decades, the most popular leather jacket style is the classic biker/rider jacket. The biker always works well with a slimmer frame, although has often been seen with some layering or a hoodie underneath on a bulkier frames. It’s hard to top such a classic style and you can’t really go wrong with the Biker. 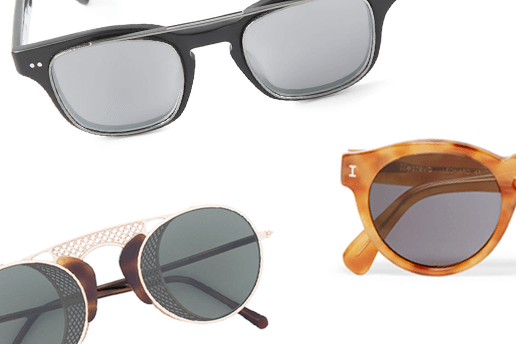 The Racer or ‘Cafe Racer’ is another popular style, a little more boxy in fit that the biker and more minimal in design, meaning it flatters the frame somewhat. The racer traditionally features a band collar with a press stud and a simple front chest zippered pocket, although adaptations have been made over the years with various amounts of detail being changed/added. Made more popular in 1960’s culture, the simplistic design has stood the test of time. The un-fussy cut means it looks great with a simple t-shirt or thin knit underneath, a versatile option that can be dressed up or down for any occasion. The Bomber, or MA1 Bomber is a military inspired jacket, originally made in nylon, the bomber is now a popular leather jacket choice. Featuring ribbed fabric collar and cuffs, with two front flap pockets and a zipper pocket on the left sleeve, lots of details present in a the A-2 jacket. The leather bomber is a more casual option and looks great teamed with a simple white t-shirt underneath. The A2, sometimes referred to as a bomber or ‘flight’ after originally been designed for military pilots. The style has not changed much since it’s conception, although there are several variations available. Signature details of the flight jacket include a fur collar, elasticated cuffs and hem and a thicker lining, often fur, fleece or flannel. Comfort and and practicality comes first with the flight, a more roomy fit, allowing extra layering underneath with warmth in mind. A simple straight zipper up the front with two large button down front pockets, a popular jacket that works well as a smart/casual look. Full grain leather has not been sanded down or buffed, meaning it is thick and robust. The fact that the leather has not been corrected means that there can sometimes be marks or blemishes in the leather. Rather than wearing down, full grain leather tends to build up a patina with wear, giving it ever more character and definition. The most popular choice when it comes to high-end leather goods, jackets included. It is still a quality full leather, but has had the very top layer separated away or smoothed to give a more even finish. The leather is also slightly thinner than full grain, making it more breathable and wearable. Any leather that has had artificial grain applied to the surface is considered corrected leather. Generally lower quality hides that do not meet the standards of higher quality leather have the imperfections sanded away, a new grain is the embossed onto the leather and the leather is dyed or stained to give a uniform finish. 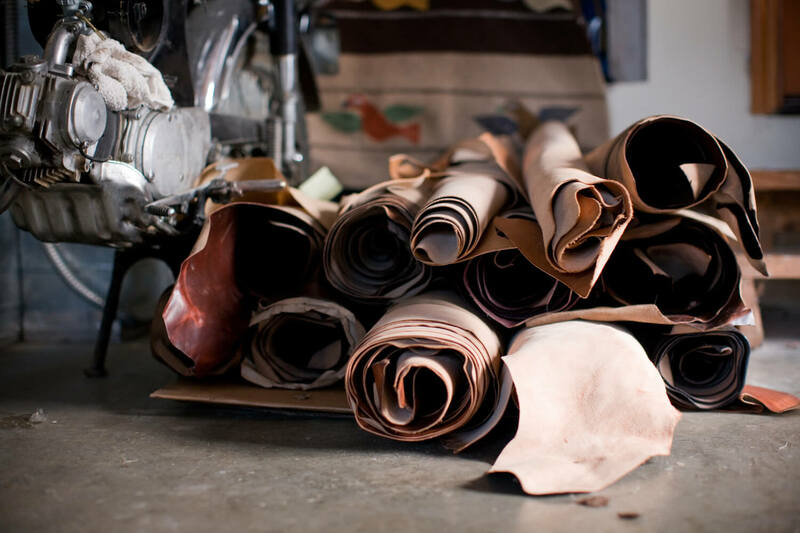 Split leather is created from the fibrous part of the leather that is left when the top-grain of the rawhide is separated. Depending on the initial thickness of the hide, this can be split down several time to create separate layers. Split leather has an artificial layer applied to the surface which is then embossed with a grain. The split process is also used in the creation of Suede. Rule of thumb, you’re better off spending that bit extra and getting a jacket that is made from top grain or full grain leather, it will look and feel much better in quality and will last a lot longer, meaning better value for money. Different animal hides produce different finishes and textures, there are many to choose from, we are going to look at the more popular choices for leather jackets. The hide of an adult cow, the most common leather and often a byproduct of slaughter for meat. It is strong and durable but with this comes the fact it is thicker and stiffer, meaning it takes longer to break in. Strong and thick with a distinct large grain, similar to steer-hide but with a unique grain. Strong and durable like cowhide but not as thick and a little stiffer, takes a good amount of time to wear in. A smoother grain and higher sheen set up the main differences to cowhide. Slightly thinner than cowhide yet still extremely durable, it has more give to it and wears well, molding to your body contours. A less common choice, but strong and durable like steer-hide with a good texture. A lighter leather, with a distinct texture often described as ‘pebbly’, similar to lambskin but not as soft. A buttery soft and smooth leather, the most used hide when this finish is desired, the drawback of the beautiful feel is that it loses some of the durability that comes with a thicker leather. Many different treatments and finishes will affect how the leather looks and feels, waxing, dying, oiling etc. The techniques are applied both to alter the look of the leather but also the durability, for examples a soft lambskin jacket might be waxed to bring out the grain and provide extra strength to the jacket. As long as you go for a good quality top or full grain leather the choice of hide really boils down to personal preference. The overall quality of a jacket can really be set off by the attention to detail, in theory you’d expect higher end leather jackets to have better design and quality detailing. 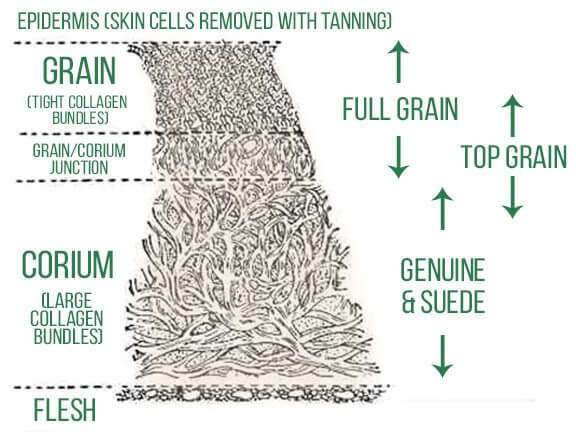 Lining can be made in many different materials, fur, cord, silk, cotton for example, however cheaper jackets may have a synthetic lining, these cheaper quality lining can tear easily and are less breathable that natural alternatives. Higher end jackets will often have a combination of linings, something more insulated for the body with a silk or silk like material for the sleeve linings. Cheaper jackets will have wider arm holes and a less cut fit, this means that they are likely to fit a wider audience when it comes to making the sale, think quantity over quality, much like off the peg suits. Pricier jackets will have higher arm holes that fit on the shoulder better and pull the overall jacket up and in, cutting closer to the body and looking sleeker overall. Lower end jackets will have less time spent on designing them, less detail means a cheaper jacket that can be mass produced. There are less elements involved, fewer material needed less time needed to produce, low end jackets will normally be a l lot simpler to look at where high end jacket might boast extra details like epaulets, pocket flaps, belts, straps etc. 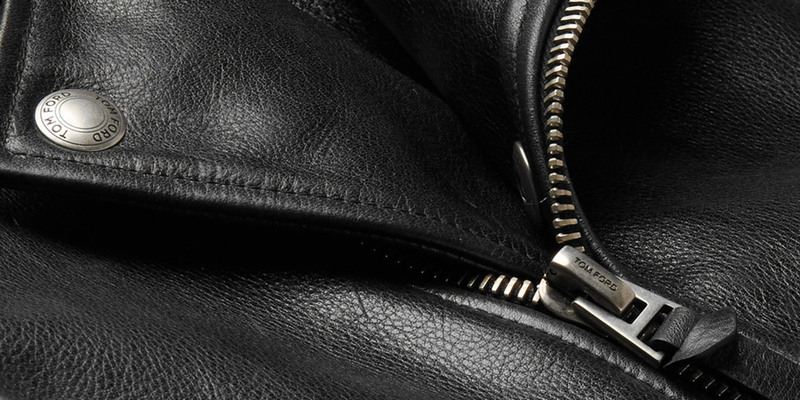 Buttons, zips, press studs, the finishing touches that can set a jacket off. 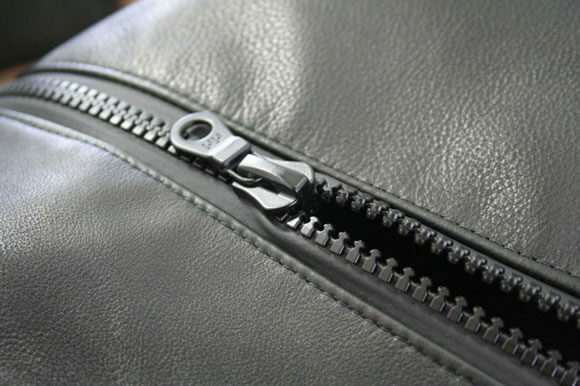 You might not think much of it but you can really feel the difference in quality between standard and high end, the most common zipper used is a YKK zip, perfectly functional, but a fraction of the price to a RiRi zipper or a custom zipper, higher end designers often use 2-way zippers which meant the jacket can be undone from the bottom to allow you to sit in it more comfortably. Similarly plated press studs, or leather bound buttons can be a sign of quality, cheaper alternatives can be flimsy and may not stand the test of time. Putting all of the above together, you can see we emphasize the importance of fit, this really is the key, a good fitting mid level leather jacket will always look better than an ill fitting high end jacket. With fit in mind, go for a full or top grain leather jacket that works well with your general style, don’t be adverse to trying out different leather types and pay attention to subtle detail and signs of quality. Following these simple lessons you should find yourself with a great leather jacket that can be worn on any occasion and will last you decades.